Every print shop is different. It's almost a cliche, right? There's not one way to print – and there's certainly not one way to run your business. Whether your shop does screen printing, DTG, embroidery – or all three (or something else entirely!) – the process is as different as the people running the shop. That's why we built Printavo with customizable statuses. As a job moves through your production workflow, you can change the status – and those status changes can trigger emails, texts, and other automations. But we know it's not always easy to imagine a new workflow – much less take an accurate stock of your own shop's production workflow. We've gathered several great examples of statuses in Printavo below. The goal is to help you learn how other shops approach custom statuses. Click any of the images to expand them. Campus Ink has an extensive status list that covers every area of production. 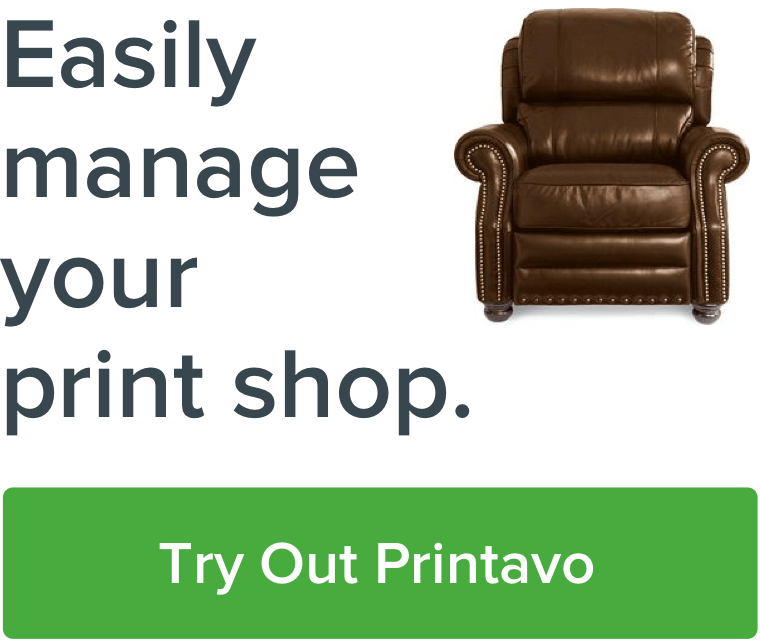 You don't need to map out every single aspect of your operation in Printavo. For a large-scale operation with many people, BSN has created extremely simple statuses that keep the production process extremely simplified. Color coding is another thing to consider. If you use a tool like Adobe Color to create a color palette, you could create extreme visual clarity and a clear hierarchy for each distinct phase of the job. Need more inspiration to get started? We suggest carefully documenting your workflow from end-to-end, typically in a workflow chart. This will ensure that you capture all of the states a job can occupy while it's in your shop. If you simply need to see what other shops are doing, check out this collection of custom statuses we've gathered: Example Printavo statuses from real print shops. Got your own awesome custom statuses to share? Have a unique way of utilizing Printavo's flexible statuses to manage your print shop's workflow? We want to hear about it – and share it with the community of print shops across the world that use Printavo to organize and improve their workflow.